We are a FREE federally funded, school-based, child development program offering comprehensive services for eligible three-to-five-year-old children and their families, living in St. Johns County. How old does my child need to be to attend Head Start? 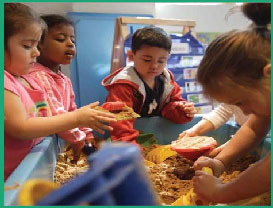 What school sites offer Head Start? Any questions, please call the Head Start Office at 904-547-8965.